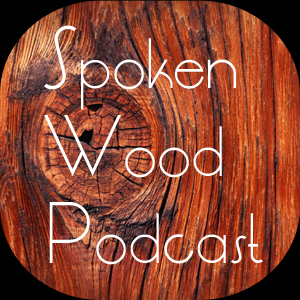 Matt’s Basement Workshop is the first and longest-running podcast dedicated to the home & hobbyist woodworker...because just like you...I’M one too! In 2006 I started Matt's Basement Workshop podcast with one goal in mind; sharing my own woodworking experiences in the shop, and connecting with fellow woodworkers along the way. Since then, I've learned so much more and have had some amazing experiences I never imagined I would have when I started. Much of what I've learned along the way was from creating episodes where we discussed and demonstrated topics such as choosing & using tools, joinery techniques, and especially by building projects (both big and small) on the show. But an even larger percentage of what I've learned came from all the amazing interactions with YOU the audience! Content on Matt's Basement Workshop has always been influenced by you. It's from your ideas and suggestions that I've steered the show to be what it is today, and with your continued support we can make it even better than before. My goals are simple. I plan to use the income donated by Patrons of Matt's Basement Workshop to continue creating content because for once I'll be freed of having to spend time searching for advertisers. In other words, I'll be able to spend less time on the business-side of the podcast and concentrate more on the content. This would free me up to get out from behind the keyboard and in front of the camera or the mic to produce bonus content, which could possibly include the return of the wildly popular "Spoken Wood Podcast," and ALSO maybe even turn on the live-stream cameras and hangout with my fellow woodworkers online. Together we can make Matt’s Basement Workshop an entirely audience-funded & driven show, won’t you help me? A huge "Thank You" from me for helping to support the show! You're donation will be added to the sum of all the Patrons of MBW to get us even closer to the various milestones we've established. Your name will also be proudly displayed on the Patreon supporter web page at Matt's Basement Workshop. Similar to the "Patron" level, and along with your name proudly displayed on the Patreon supporter web page at Matt's Basement Workshop you'll also get access to new content a minimum of one day before the rest of the world gets to view it. Allowing you plenty of time to post inside jokes and share the occasional pearls of wisdom you gleaned from the content. In other words, you can be a Matt's Basement Workshop "Spoiler" for the rest of the audience by spoiling the surprise of what is so awesome in each post. Same as the "Spoiler" level but with an option for a clickable link to your website (if you have one) on my Patreon supporter web page. Plus you have access to special bonus content from each new episode; easily an extra 5-10 minutes of bonus footage exclusive to this level of patronage and above. It's obvious by the regular number of requests I get to bring this show back, that you absolutely love it. At this level of regular monthly patronage I'll not only be able to spend more time working on content, and recording episodes, but I'll also be able to pay bloggers for the use of their content ($25/post).